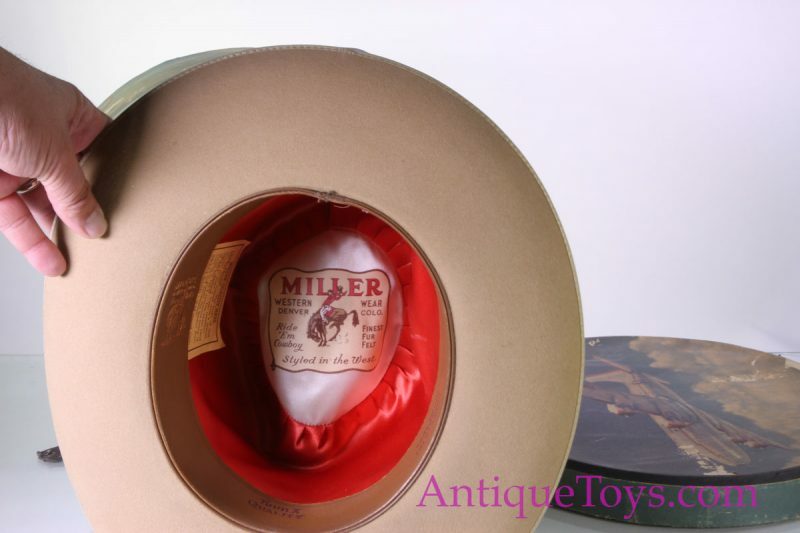 We are going out on a limb offering this product, but it came from a toy collector. 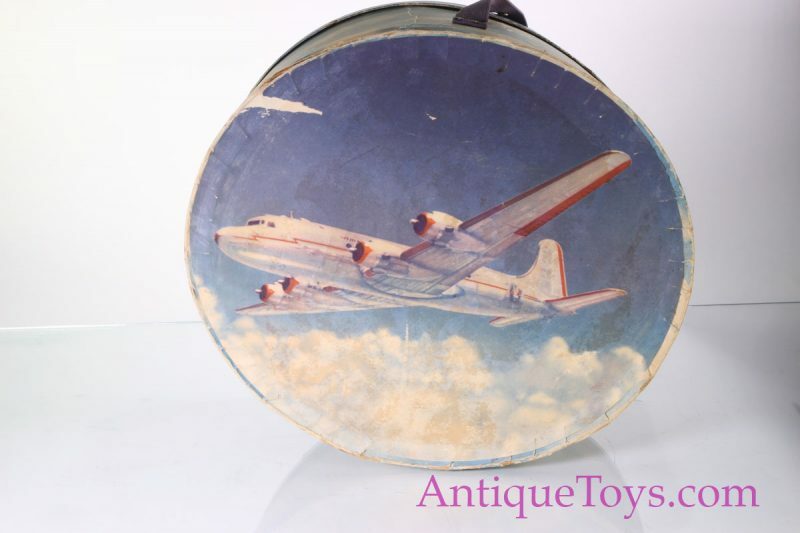 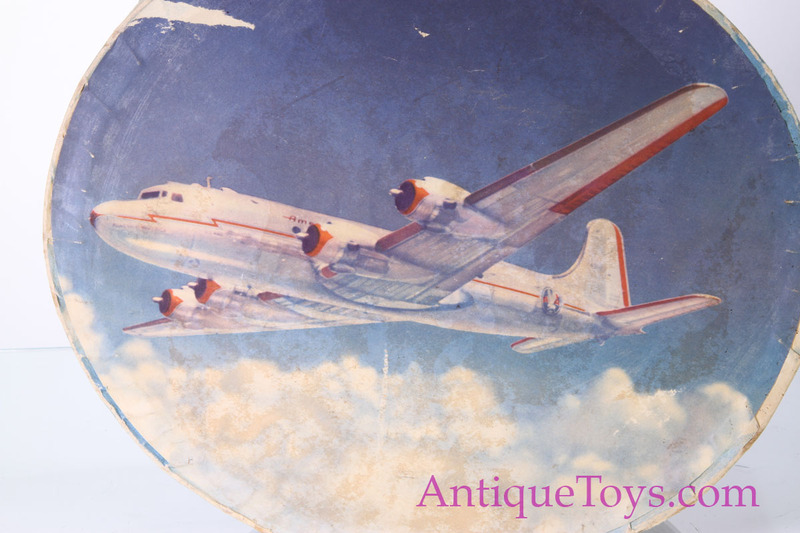 It was displayed next to his toy airplanes, and it may make a great backdrop for the next person; or a great vintage hat and protector! 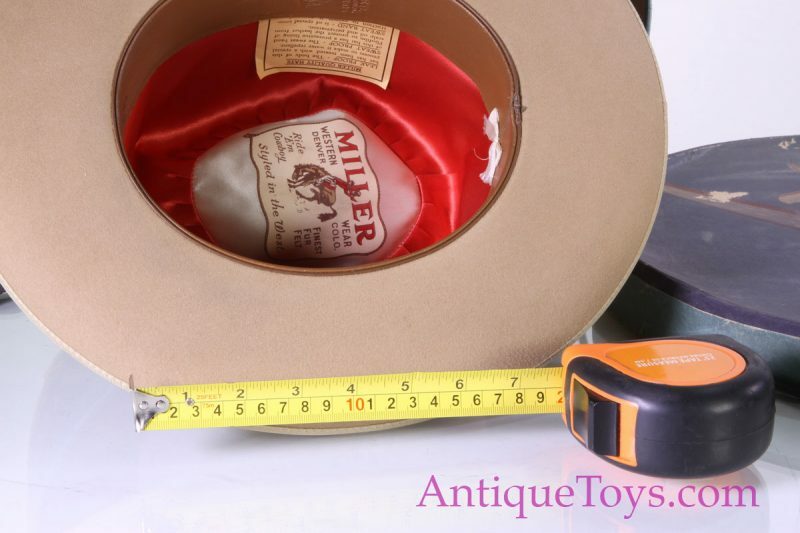 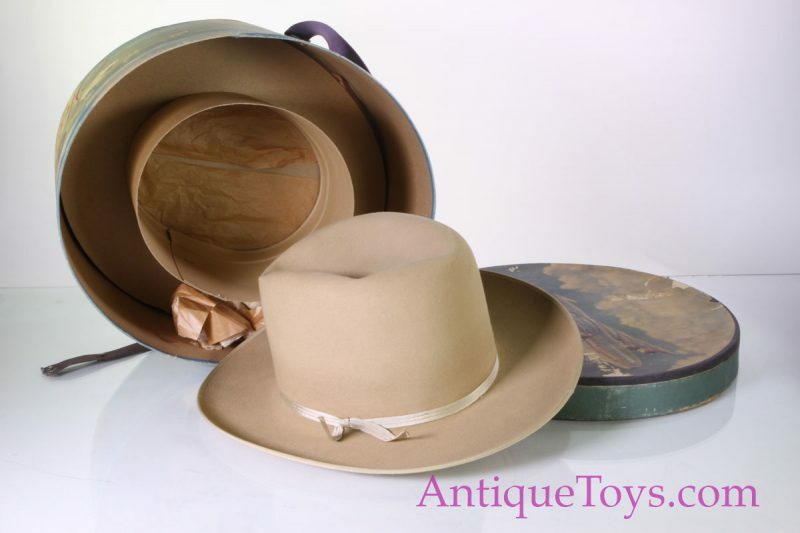 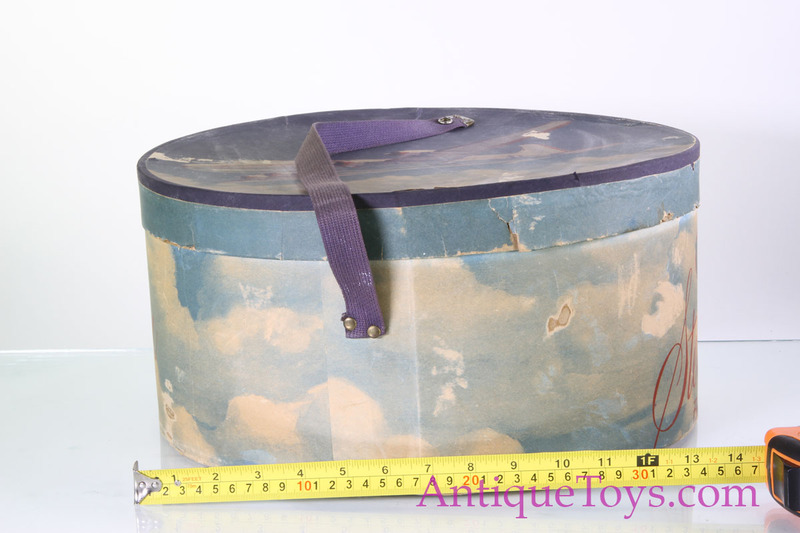 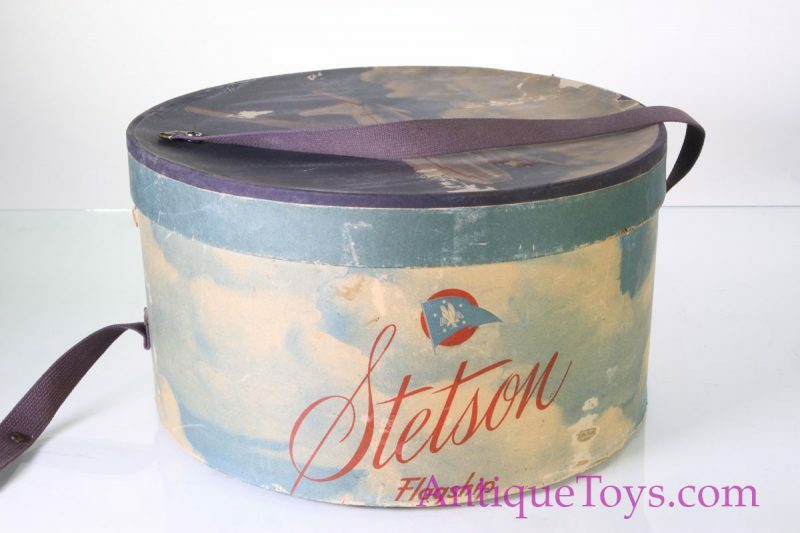 Our roughly 7 3/4″ felt hat comes with our box and it was an official American Airlines hat box, likely from the 1950’s. The twin prop plane and clouds are a beautiful vintage piece of art in and of themselves. 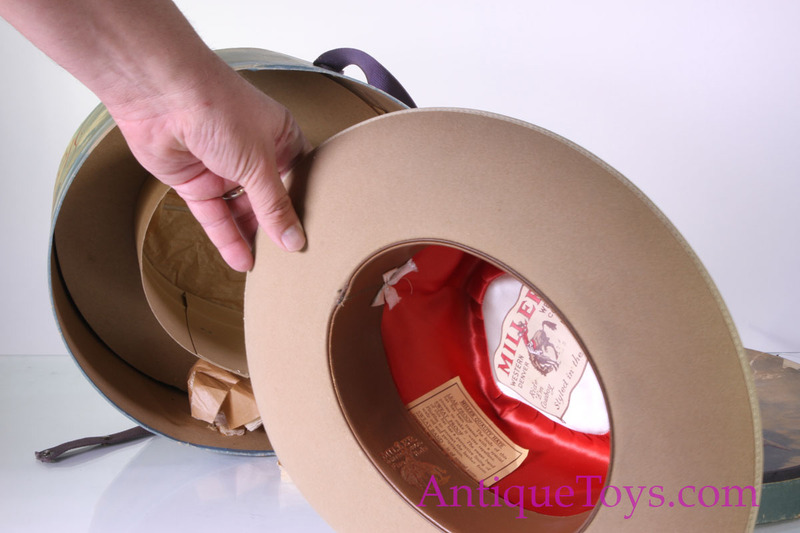 The hat and hat box serve a function. 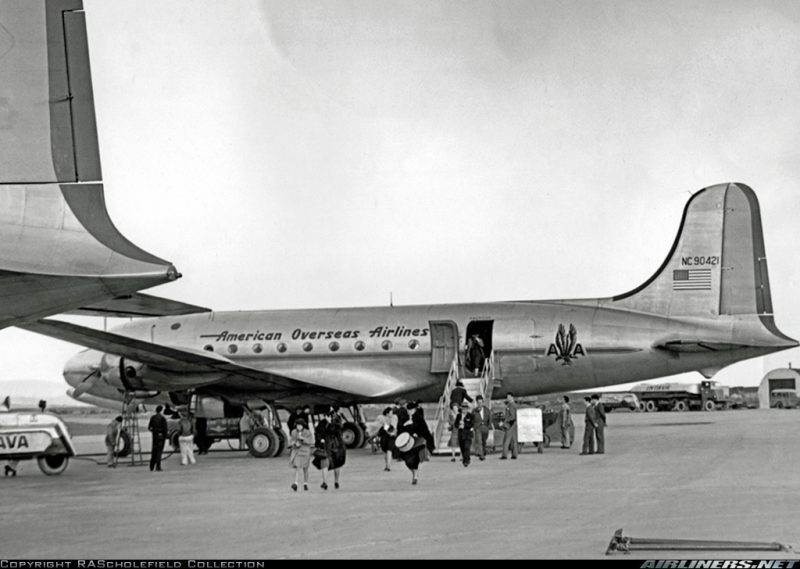 To us it looks like a DC-7 which would have operated in the early 1950’s. 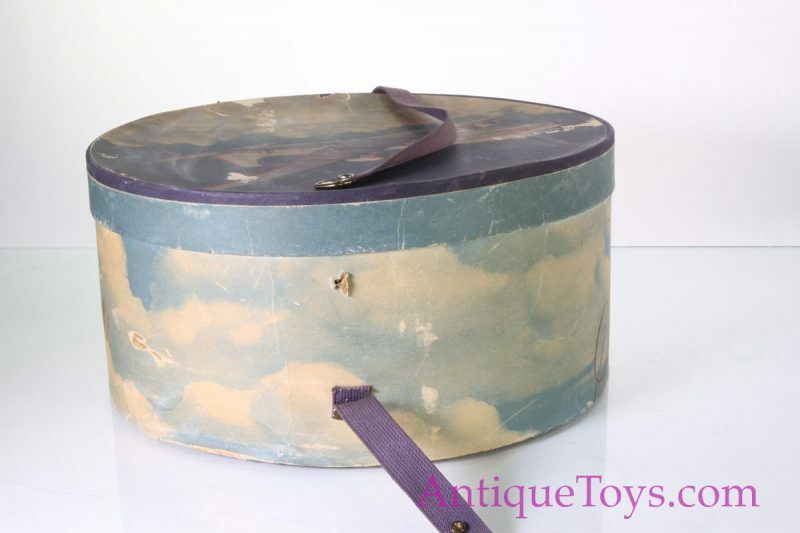 Picture attached-. 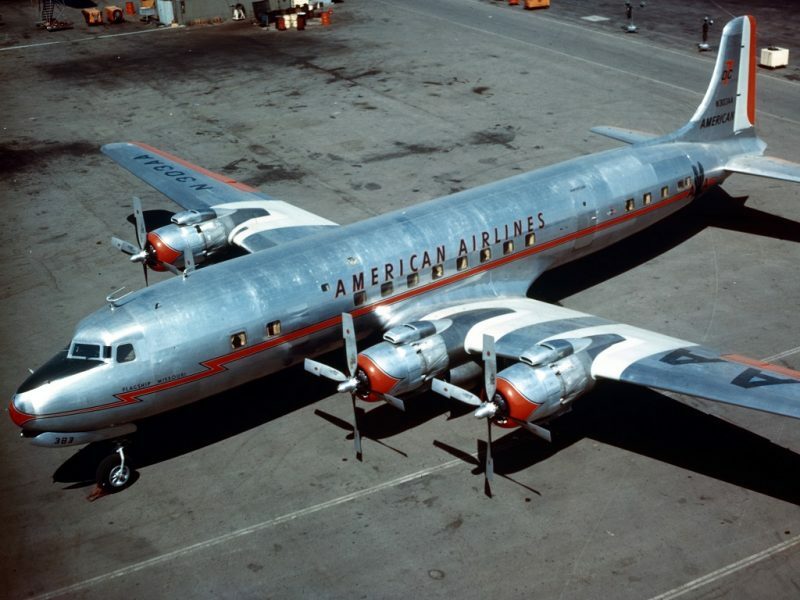 It also looks like the1940’s operating DC4 where we see a reference photo of the rear section. 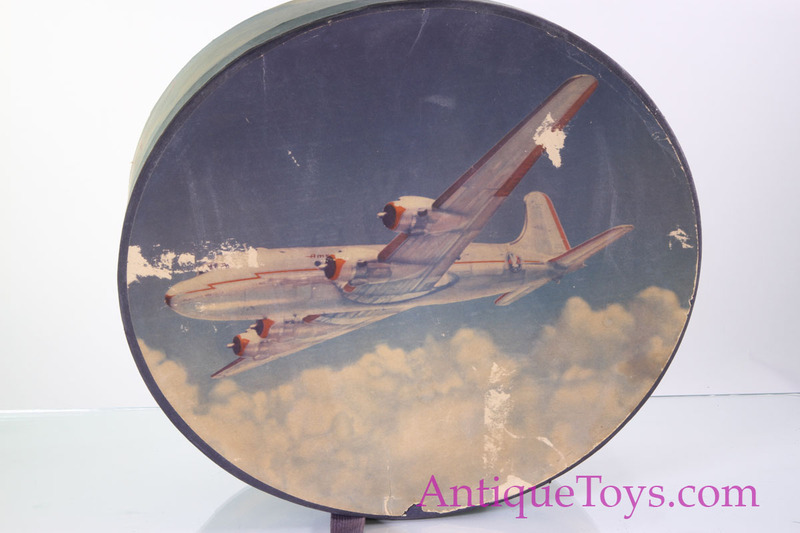 We may see circular window edges, which would place the plane in the 1940’s. 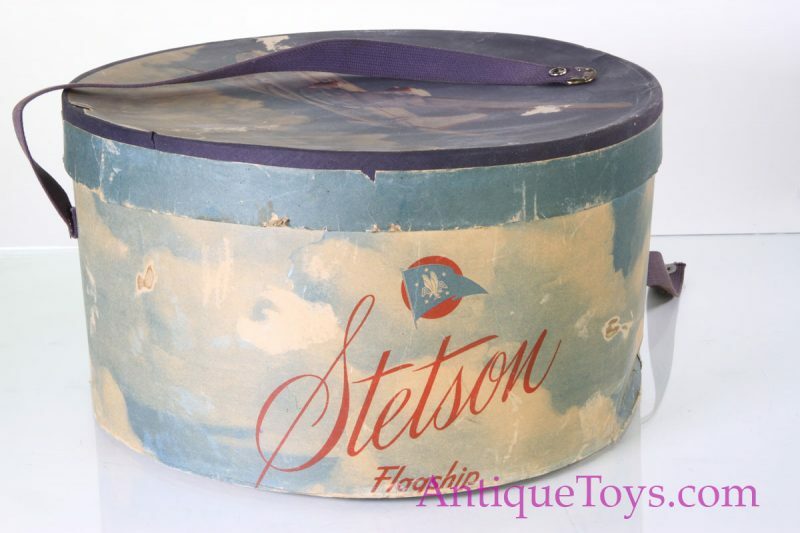 Condition is good to fair with some tears, abrasions, dirt, dust, and overall foxing and aging as shown. 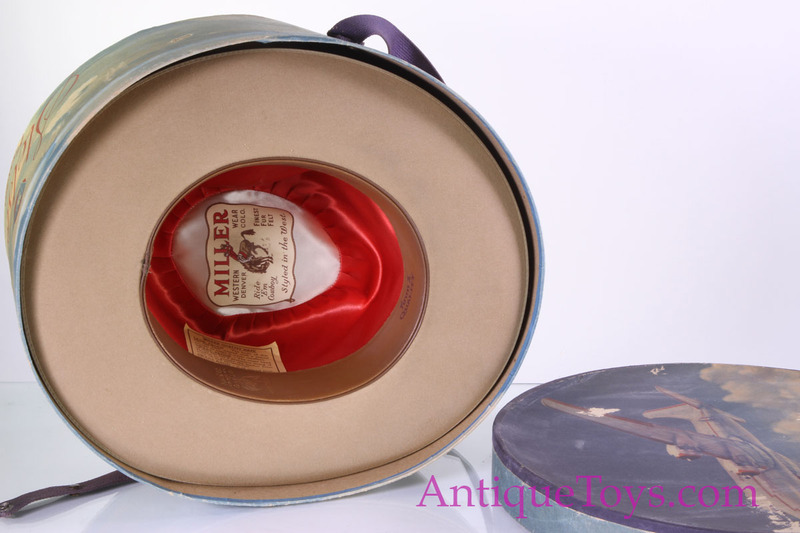 As with most vintage and antique items, this is simply part of surviving.